Do You Need Your Youth Pastor? Some years ago I was chatting with local Baptist pastor Dr George Lazenby, still then preaching each Sunday at the age of 90 (he has since gone to be with the Lord). He told me that he was writing his autobiography. Knowing Dr Lazenby as I did, I had no doubts his story would be provocative, and so it has proven. He gave me permission to publish the following excerpt, about our society’s – and the church’s – fascination with youth. We are living in a time when the ageing population is now seen as a threat. The next generation may well make demands that the present taxation system cannot carry. Which seems to fly in the face of the belief that we should retire earlier than was the case when 65 was the usual age for retirement. This is not to say that retirement should follow that pattern, but that it appears to be a waste of what experience can give. And this attitude has somehow spilt over into the church. The emphasis today is on youth, and pastors for youth are seen as essential. 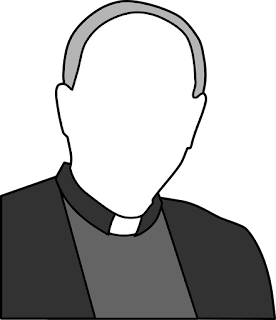 When seeking a pastor, few churches would be likely to consider a man in his sixties. Some of the most impressive preachers I have listened to have been old men. I shall never forget hearing Dr. A.J. Gossip preach in Glasgow in 1938. He made his way slowly up the stairs leading to the pulpit. He seemed so frail. His thin white hair covered what seemed to be a small face lined by age. I could do no more than listen entranced at the way he opened the scriptures. Age had not diminished his preaching ability – it had enhanced it. Reading Christian newspapers, I am continually confronted by churches seeking youth pastors. As far as I recall, I have not read one which focused upon the needs of the elderly in the congregation. People over the age of 50 often comprise the greater part of the congregation. They have their special needs. Many are facing the closing years of life – and with it the prospect of sickness and death. To their needs many churches seem deaf. Subjects that come within the category of ageing and death would be regarded as morbid and consequently avoided. The elderly are left to work things out for themselves without hearing what the word of God has to say about these matters. Why must the emphasis be so frequently on the needs of youth? This entry was posted in Church, Pastor on October 20, 2015 by admin. A while back my church voted to call a new senior pastor. The man in question accepted our call. It seemed we were stealing him from another church. I have a question: aren’t there some ethics involved in this? At our church business meeting, the pastoral search committee moderator (a retired senior police officer) said light-heartedly that some of the committee’s activities had of necessity been kept secret, so that other churches not find out we might be trying to steal their pastor. It was a long meeting, and towards the end we learned that the man we were calling was just two years or so into a three-year contract with a particular church. I didn’t know the details of that contract. Maybe it could be cut short at any time. But the impression we gained at the meeting was that he would be breaking his contact to join us. When someone raised a question about this, a member of the pastoral search committee simply said that, according to its website, the candidate pastor’s church regularly changed pastors. Which seems to be saying – if others are doing it, why shouldn’t we?. What sort of message is that? I sent my three kids to Sunday School and church youth group precisely hoping that they would learn about transcendent values, about right and wrong and about not following the ways of the world. Nine days before the meeting, which took place in December, one of our pastors told the congregation that, some months earlier, God had revealed to him that around Christmas time we would be appointing our new senior pastor, and that the man would be aged 39 (exactly the age of the candidate pastor). At the meeting itself, the members of the pastoral search committee spoke in detail of how God had led them to believe this man was the right person for our church. Now I know that God can over-rule the law of contracts, not to mention criminal law, natural law and any other law. But I’m not sure that our church should. I was also uncomfortable that the man we called was pastor of an expatriate church in Asia. I would imagine that such a church might face a long and expensive process in finding and bringing over a new English-speaking pastor. This entry was posted in Church, Pastor on September 7, 2015 by admin.